This morning little bodies draped in oversized plastic aprons and chef hats, rolled balls of dough and then pricked their flat creations to prevent the dough from rising. (The whole scene was too cute for words). 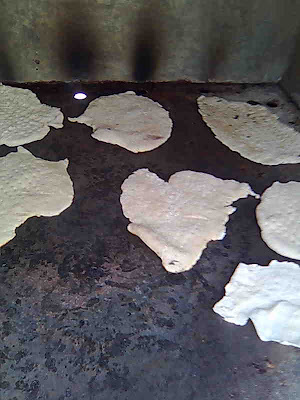 This heart loves that the Jewish tradition of eating matzah is being passed over to the next generation.